The basic foundations of the Brazilian securities market are set upon: (1) Law No. 6,385/1976, which set up the pillars of the Brazilian securities market and created the Securities Commission2 (CVM); (2) Law No. 6,404/1976, which regulated the joint-stock companies, their management and several types of securities related to capital funding; and (3) Law No. 4,595/1964, which created the National Monetary Council3 (CMN) to govern the financial sector. In addition to federal legislation, there is a robust body of rules issued by the CVM covering a wide range of matters related to securities and listed companies, such as initial public offerings, issuance of bonds, issuance of Brazilian depositary receipts, disclosure and control of inside information, among others. There are also rules issued by specific self-regulatory private companies with authority to regulate the conduct of players and trades in securities within their own markets, pursuant to Rule No. 461/2007 of the CVM. Among these private companies is B3 SA (Brasil, Bolsa, Balcão) (B3), Brazil’s most important stock exchange and over-the-counter market. Offences under Brazilian securities laws may translate into one or more of administrative, civil and criminal liability. The offenders may be prosecuted in all these three spheres separately, before different courts and regulatory authorities, and face different sanctions in relation to a same offence. At the forefront of the administrative instance is the CMN, whose purpose is to set general guidelines to be followed by the financial system, including Brazil’s Central Bank and the CVM, as well as by the securities market as a whole. The CVM has the authority to regulate and issue rules applicable to all listed companies, investment funds, stock exchanges, over-the-counter markets, entities of the securities distribution system and investors.5 The CVM also works directly with players in the capital markets, overseeing their activities, approving the registration of listed companies and the issuance of bonds, among other activities. Securities litigation in Brazil involves all types of securities, such as shares (of companies and funds), debentures, warrants, commercial paper, derivatives, etc., and are mostly related to disputes over corporate governance, intermediation and auditing liabilities, conflicts of interest, disclosures, frauds or omissions, minority shareholders’ rights, creditors’ rights, bankruptcy and reorganisation related to distressed companies and compliance with regulations of the CVM, stock exchange and over-the-counter markets. There are four main avenues for dispute resolution in Brazil: court litigation, arbitration, conciliation and mediation. Most cases are referred to court or arbitration, depending on the disputed amount or the relevance of matters under scrutiny. Securities litigation in Brazil is not so common when compared to foreign markets or even to other sectors in Brazil. 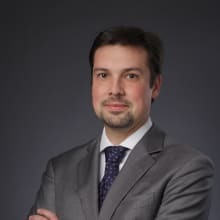 Secondary liability of financial and legal advisers is not presumed under Brazilian law; it must necessarily rely on evidence of wilful misconduct or the pursuit of joint benefits by those advisers and their clients. On the other hand, the CVM and Public Prosecutor’s Office may bring claims against advisers – most frequently against auditors – for negligence or breach of duty. Civil liability for negligence and ensuing damage caused by auditors to third parties is specifically provided in Law No. 6,385/1976. Under Brazilian law, only direct damage is subject to indemnification. Any indirect damage is not indemnifiable, as only the party directly affected would have standing to sue.12 For instance, court precedents usually hold that the mere devaluation of shares or decrease in dividends arising out of fraudulent conduct of the senior managers causes only indirect damage to shareholders, as the directly harmed party would be the company itself. Therefore, the company would be the entity with standing to claim such loss. On the other hand, common examples of direct damage caused to shareholders may be the wilful undervaluation of shares for purposes of mergers and violations to right of first refusal in capital increases, as such actions directly affect shareholders’ rights. Disputes involving corporate governance usually deal with wrongful or unlawful acts and breaches of statutory and corporate rules by the senior managers and causing damage at different levels, namely to the company, its shareholders and to third parties. This wrongdoing may give rise to the filing of ut universi lawsuits, ut singuli lawsuits and ordinary civil liability lawsuits. The shareholders or third parties who suffered a direct, particular loss from senior managers’ misconduct may file an ordinary, individual liability lawsuit to recover such loss, according to Law No. 6,074/1976, Article 159, Paragraph 7. In such cases, the losses were caused directly, specifically and personally to the shareholders or third parties concerned, being unrelated to the company’s interests or to the losses that may have been concurrently caused to the company. Losses related to insider trading by senior managers are examples of losses that may directly affect shareholders in their individual capacity. If losses are caused to the company directly, the filing of a liability lawsuit (ut universi) may be submitted to deliberation at the shareholders’ general meeting. If a majority of the shareholders approve such filing, the senior managers accused of wrongdoing will be immediately dismissed and the company itself will file the liability lawsuit against them within three months. If the company fails to do so, any shareholder may bring this lawsuit on its behalf,14 and any amount recovered by the shareholder will accrue to the company. If the filing is rejected at general meeting, the liability lawsuit may be filed on behalf of the company by shareholders representing at least 5 per cent of the corporate capital (ut singuli lawsuit). In this scenario, however, the accused senior managers will not be automatically dismissed from their positions, as the matter has not been previously approved at the shareholders’ general meeting. A liability lawsuit may be brought against the controlling shareholders for recovery of damages in cases of abuse of controlling power,15 if the controlling shareholder16 causes losses to the controlled company. The standing to file this claim lies with (1) the minority shareholders with at least 5 per cent of corporate capital, or (2) any shareholder with less than such amount (in this case, the shareholder must deposit in court an amount equivalent to legal expenses and attorney fees). The damage from default of obligations in securities transactions may also give rise to indemnity claims, which are generally brought by investors who suffered direct damage out of the wrongdoing. For instance, fraudulent issuance of securities may give rise to civil lawsuits filed by individuals seeking redress of damage. Finally, a public civil lawsuit (akin to a class action lawsuit) is set forth in Law No. 7,913/1989. It aims to obtain reimbursement for damage caused to a group of securities’ holders. Such action must be filed directly by the Public Prosecutor’s Office, which may act on its own initiative or upon the request of the CVM. The damages recovered through this lawsuit will revert to the aggrieved investors rateably to their individual loss. As private securities claims are mostly of a civil nature, the applicable procedure is set out in Law No. 13,105/2015, known as the Code of Civil Procedures, enacted in March 2015 and effective as from 18 March 2016. It is a federal law effective in both federal and state jurisdictions. Generally, lawsuits discussing offences to securities law are tried in state courts. Exceptionally, the jurisdiction will pass to federal courts should a public entity such as the CVM request to join the proceeding as an interested third-party.17 Moreover, the Federal Constitution and applicable legislation do not contemplate trial by jury in commercial and civil cases. As a rule, lawsuits at state and federal courts are tried publicly. The court may order the case to be conducted under secrecy18 in certain circumstances to preserve the parties’ privacy or in the public interests. Both plaintiff and defendant have the burden of proving their own claims raised in the complaint and in the defence. Unlike US proceedings, Brazilian legislation does not provide for broad discovery allowing the party to oblige its opponent to disclose a vast amount of documents and information as evidence in the litigation. The Code of Civil Procedure puts at the parties’ disposal a more limited proceeding, in which the plaintiff must satisfy certain legal requirements, such as evidence of the existence of documents and their importance for the matter under scrutiny, to be granted the command obliging the opponent to disclose them in court. Thus, it may be somehow burdensome for investors to file securities lawsuits owing to the limited scope of discovery available in Brazil. Once discovery is complete, including the holding of trial hearings, the court may render its decision, which is appealable at the respective court of appeals. Should the parties opt for an arbitration, Law No. 9,307/1996 allows the parties to customise the proceeding (e.g., by establishing that it will be subject to confidentiality), within certain limits prescribed by law, although it is common that the regulations set forth by major Brazilian arbitration chambers will be followed. At the end of the proceeding, the panel will render an arbitration award, which is non-appealable. A public civil lawsuit tends to result in generic awards confirming or rejecting investors’ rights and affecting the whole group to which it relates. The damages recovered through this public collective lawsuit will enure to aggrieved investors rateably to their individual loss, as per Law No. 7,913/1989. In generic sentences, the assessment of damage and its further enforcement against the debtor may be burdensome and time-consuming. As a general rule, claims related to disposable rights, such as disputes between private parties over securities, can be settled, either in-court or out-of-court. Out-of-court settlements may need to be recognised in court, but this recognition is limited to an analysis of any possible violations of the law, not to the economic provisions of the settlement. In the case of a liability lawsuit (ut universi), the settlement must be previously approved by the corporate bodies, including by those shareholders that had originally approved the filing of such lawsuit. In derivative suits (ut singuli), the settlement between shareholders and senior managers would be ineffective, as the right under scrutiny belongs to the company and not to the shareholder acting as plaintiff on its behalf. Only the company can dispose of any of its rights. For such a settlement with a shareholder to be effective, it must be previously submitted and approved by a general shareholders’ meeting. Nonetheless, the shareholder acting as plaintiff may decide to discontinue the derivative suit, since he or she ultimately holds control over the procedure (i.e., in this case, the shareholder would not be settling or waiving any of the company’s rights without prior authorisation, but would only be withdrawing the claim without prejudice, which may be later reclaimed by the company during the corresponding limitation period). 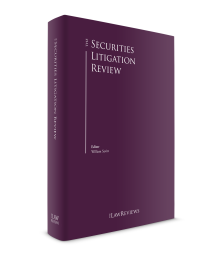 In the case of public civil lawsuits involving securities claims (Law No. 7,913/1989), the Public Prosecutor’s Office cannot settle and dispose of any of investors’ rights either, as the right under scrutiny does not belong to it. In civil liability lawsuits, indemnification for property and moral damages can be granted by courts. Property damages are tantamount to the actual damage suffered by the aggrieved party. The plaintiff must state the extent of recoverable damages at the filing of the lawsuit.20 This is meant to prevent plaintiffs from seeking excessive compensation, as the stated amount will serve for calculation of court costs payable by the losing party. The same rule applies to moral damages (pain and suffering), where the plaintiff will also need to state the full amount of recoverable damages at its statement of claim. In derivative suits (ut singuli), all damages recovered revert in favour of the company, as the shareholders are acting on its behalf. The same goes for public civil actions, where the Public Prosecutor’s Office litigates on behalf of a group of shareholders and, thus, all damages recovered will accrue to the latter. Remedies granted by Brazilian courts are not limited to monetary obligations. Courts are also allowed, for example, to review the economic aspects of certain agreements or even compel a party to refrain from certain practices. As for allocation of expenses in litigation, the defeated party bears all expenses, including attorneys’ fees. As the main administrative authority responsible for overseeing the securities market, the CVM investigates, prosecutes and punishes securities laws violations. All market players, such as senior managers, shareholders, investment funds and listed companies, are subject to the CVM’s scrutiny, regardless of their civil or criminal liability. Though uncommon, securities market misconduct can also be treated as a crime and, as such, investigated by the Public Prosecutor’s Office, with the help and support of the CVM. Notable examples of criminal conduct are market manipulation and the use of inside information.21 The Public Prosecutor’s Office has standing to bring suit in court regarding criminal offences against the securities market. The CVM’s administrative proceedings are governed by federal laws23 and the CVM’s internal regulations,24 and emulate the principles and rules of criminal procedure. The general timeline for administrative procedure is the following: on becoming aware of a securities law violation, the CVM asks the relevant party for information. If the information received is unsatisfactory, the CVM prepares an accusation containing key information on the illicit act. 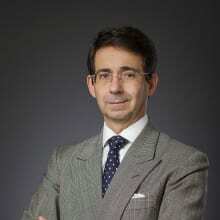 The specialist prosecutors’ office will render an opinion, and the accused party will present a formal defence. Then, the case files are remitted to a technical body for a report on the entire proceeding. Finally, the accused party comments on the report and the CVM’s board of commissioners eventually makes a decision. This decision may be appealed at the board of appeals of the National Financial System. The case files of administrative proceedings are generally open to the public upon justified request. The decisions issued by the CVM’s board of commissioners are made public on the CVM’s website. Furthermore, the CVM’s decisions can be challenged in courts via ordinary lawsuits. The CVM may settle with securities law offenders via a settlement agreement25 or a plea deal (whistle-blowing agreement).26 These possibilities have been in place since enactment of Law No. 13,506/2017, which significantly changed Law No. 6,385/1976. Settlement agreements authorise the CVM to stay administrative proceedings in the public interest, whether during preliminary investigations or in the course of the proceedings, for execution of a settlement agreement by which the accused (or investigated) party agrees to: (1) cease the acts or activities deemed illicit by the CVM; and (2) correct (and compensate for) any irregularities found. The procedure for execution of a settlement agreement is governed by CVM Resolution No. 390/2001, and entails no acknowledgement of guilt by the signatory; therefore, should the latter default any of his or her obligations under the settlement, the CVM may resume the proceeding and, ultimately, impose sanctions on him or her. For its part, the plea deal (whistle-blowing agreement) allows the CVM to exonerate the offender from liability or reduce sanctions by one-third to two-thirds as the offender confesses to violating securities laws and undertakes to cooperate with investigations in identifying the other violators, gathering relevant documents, among others. The execution of such agreement is cumulatively conditioned to: (1) the legal entity being the first to qualify among violators related to the same facts; (2) the legal entity ceasing its participation in the relevant offence; (3) the CVM lacking sufficient evidence to convict the relevant person or legal entity at the time; and (4) the person or legal entity fully cooperating with the investigation throughout. The execution of a settlement agreement in relation to public civil lawsuits, including those concerning securities claims, is permissible under Law No. 7,347/1985. The agreement may be entered into jointly by the CVM and the Public Prosecutor’s Office, leading to an administrative and court settlement covering the same securities offence. Law No. 13,506/2017 was enacted at the end of 2017 in answer to recent scandals of corruption involving major players in the Brazilian securities market. It significantly raised all monetary penalties imputable by the CVM,27 which may not exceed the greater of: (1) 50 million reais; (2) twice the value of the irregular issuance or transaction; (3) three times the economic advantage obtained or loss avoided by the wrongdoing; or (4) twice the damage that the wrongdoing caused to investors. These fines may be tripled in the event of recidivism. The CVM may also apply non-monetary penalties, such as suspension, disqualification and prohibition from engaging in certain activities or transactions in the securities market for up to 20 years. In the criminal sphere, offences against the capital markets may result in custodial sentences. For instance, those liable for market manipulation and insider trading are subject to custodial sentences of up to eight and five years, respectively,28 plus fines of up to three times the illicit benefit obtained. In the civil sphere, Brazilian court may assert jurisdiction over: (1) defendants domiciled in Brazil; (2) obligations to be performed in Brazil; and (3) claims deriving from facts or acts that occurred in Brazil.30 Brazilian law does not set any special conditions or requisites for a foreign individual residing in Brazil to bring suit before the Brazilian courts. For their part, foreign-based plaintiffs bringing claims in Brazilian courts must post bond to secure court costs and attorneys’ fees. Shareholders residing abroad must also appoint a legal representative with powers to be served on their behalf over matters related to capital markets, pursuant to Law No. 6,404/1976. Therefore, foreign issuers falling under the aforesaid conditions are subject to oversight of the CVM or Brazilian courts, or both. Over the past year, there was an increase in administrative sanctioning proceedings when compared to 2016. In total, there were 306 ongoing administrative proceedings in 2017 (286 in 2016). The CVM estimates that, in late 2017, all ongoing proceedings dated back to no earlier than October 2015, indicating the CVM’s commitment toward expediting the conclusion of the proceedings. Moreover, 2017 saw an increase in administrative proceedings approved for execution of settlement agreements. In total, 31 proceedings were settled with 92 different entities, generating around 15.3 million reais as revenues from settlement agreements. For administrative proceedings that were not settled, 28 were tried before the CVM’s board of commissioners, and resulted in: (1) 51 fines; (2) one suspension; (3) two disqualifications; (4) three prohibitions; and (5) 27 discharges. The total amount of fines applied in 2017 was 156 million reais (more than three times the 2016 figure). Cease-and-desist orders (prohibition orders coupled with daily fines for contempt against players whose acts violate securities legislation) have also intensified – from nine in 2016 to 18 in 2017. On the other hand, there were fewer investigative proceedings in 2017 compared to 2016 – 95 and 113, respectively, where: (1) 85 evolved into accusations; (2) seven are still under administrative investigation; and (3) three were tried through simplified procedure. The plea deal has proved an instrumental tool for uncovering offences in the capital markets, and its use is likely to increase, as Law No. 13,506/2017 has allowed the CVM to enter into such plea deals directly. A new regulation for B3’s trading segment demanding the highest levels of corporate governance was approved in the second half of 2017, becoming effective in January 2018. This is expected to bring significant changes to listed companies, such as new rules for disclosure of information, new standards for the number of directors and officers, among others. Finally, the media has reported that, in late 2017, a group of Petrobras’ shareholders was considering the possibility of filing a collective arbitration against the oil giant for reimbursement of losses from corruption and fraud. Although still controversial, as it is the first of its kind in Brazil, it may represent a precedent for the securities market as a whole. After almost five years of severe financial crisis, Brazil showed signs of rekindling economic growth in 2017.33 Interest rates in Brazil have reached an all-time low, which should help to drive investors back to the capital markets. The market also awaits new developments in the efforts towards enacting a new Commercial Code34 that could put the 1976 Brazilian Corporation Law on a par with cutting-edge legislation. The effects of Law No. 13,506/2017 are likely to be felt more intensely in the coming year, giving rise to new plea deals with the CVM. This, coupled with B3’s new regulations for its trading segment demanding the highest level of corporate governance, should help the further maturing of Brazil’s capital markets. 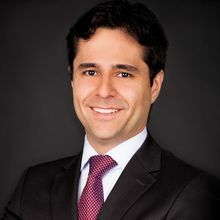 1 Rodrigo Carneiro and Fernando Zorzo are partners and Eider Avelino Silva is a senior associate at Pinheiro Neto Advogados. 2 Comissão de Valores Mobiliários. 4 Decree No. 6,382/2008, Section IV of attachment I. 5 Decree No. 6,382/2008, Article 8 of attachment I. 6 Conselho de Recursos do Sistema Financeiro Nacional. 7 Law No. 7,913/1989, Article 1. 8 Law No. 6,385/1976, Article 31. 9 http://www.bsm-autorregulacao.com.br/assets/file/estatisticas/Relatorio-de-atividades-MRP.xlsx (accessed on 20 March 2018). 10 http://www.cvm.gov.br/export/sites/cvm/publicacao/relatorio_anual/anexos/Relatorio_Anual_2016.pdf (accessed on 20 March 2018). 11 Law No. 10,406/2002, Article 927. 12 Law No. 13,105/2015, Article 18. 13 Law No. 10,406/2002, Article 944. 14 Law No. 6,404/1976, Article 159, Paragraph 3. 15 Law No. 6,404/1976, Article 117, sets forth several duties and standards of conduct attributable to controlling shareholders. 16 Law No. 6,404/1976, Article 116, defines controlling shareholder as the person, legal entity or group of persons or legal entities bound by shareholders agreement that have joint ownership of voting rights that ensure the majority of votes at general meetings and the power to nominate most senior managers, provided that such voting rights are enforced. 17 Federal Constitution, Article 109. 18 Law No. 13,105/2015, Article 189. 19 Law No. 13,105/2015, Article 373, Paragraph 1. 20 Article 292 of Law No. 13,105/2015. 21 Articles 27-C and 27-D of Law 6,385/1976. 23 Laws No. 6,385/1976 and No. 9,784/1999. 24 CVM Resolution No. 538/2008, recently amended by CVM Resolution No. 780/2017. 25 Law No. 6,385/1976, Article 10, Paragraph 5. 26 Article 30 of Law No. 13,506/2017. 27 Article 35 of Law No. 13,506/2017. 28 Law No. 6,385/1976, Articles 27-C and 27-D.
29 Law No. 6,385/1976, Article 9, Paragraph 6. 30 Law No. 13,105/2015, Article 21. 31 Articles 5 and 6 of Decree-Law No. 2,848/1940. 32 http://www.cvm.gov.br/export/sites/cvm/publicacao/relatorio_atividade_sancionadora/anexos/2017/20171213_relatorio_atividade_sancionadora_janeiro_setembro_2017.pdf (accessed on 24 March 2018). All statistics for 2017 made available by CVM go as far as 30 September 2017. 33 Brazil had a positive GDP in 2017 of 1 per cent, compared to 2015 and 2016, both with a GDP of -3.5 per cent. 34 Legislative Bill No. 1,572/2011.